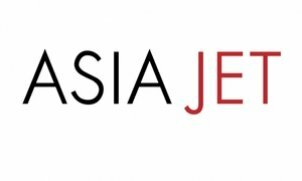 Asia Jet Partners Limited in Hong Kong is a market leader in executive jet charters, aircraft management, maintenance services and aircraft sales. We are part of the HNA Group of Companies, which is ranked 170th in the 2017 Fortune Global 500 list employing over 300 staff in Greater China together with our sister companies Hongkong Jet, Deerjet and UAS. Asia Jet Partners Malaysia Sdn Bhd a subsidiary of Asia Jet opened its Subang office in Kuala Lumpur in 2015, a JV partnership with Berjaya Vacation Club Sdn Bhd (a subsidiary of Berjaya Group (MYX: 3395). Asia Jet is not new to SE Asia and is a well-known and award winning trusted brand amongst its peers. It offers similar services to its Hong Kong counterpart and already manages aircraft for locally based private owners.